Jam and Marmalade differ in two important ways: their ingredients and the manner in which they are prepared. 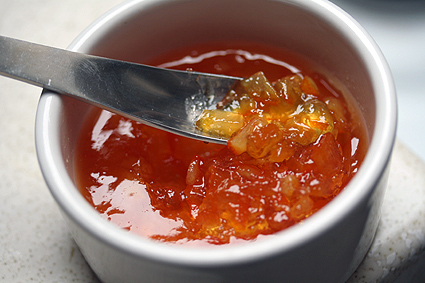 Both spreads are made with whole fruit, sugar and water, but only marmalade is prepared with a fruit's peels. Because of the importance of peels, marmalade's are made exclusively from citrus fruits, while jams can be made from almost any fruit or vegetable. The vibrant citrusy flavor you get from this homemade spread is very refreshing, trust me, it is worth the effort of making it. I say that because it is a two day process. But don't let that discourage you because the first day is pretty simple. Hint: add the sugar to your taste. 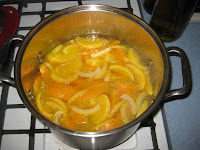 Depending on the sweetness of the fruit or how sweet you want your marmalade, you may need more or less. You can go up to 8 cups for a super sweet spread. 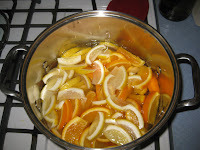 Cut the oranges and lemons in half crosswise, then into very thin half-moon slices. Discard any seeds. 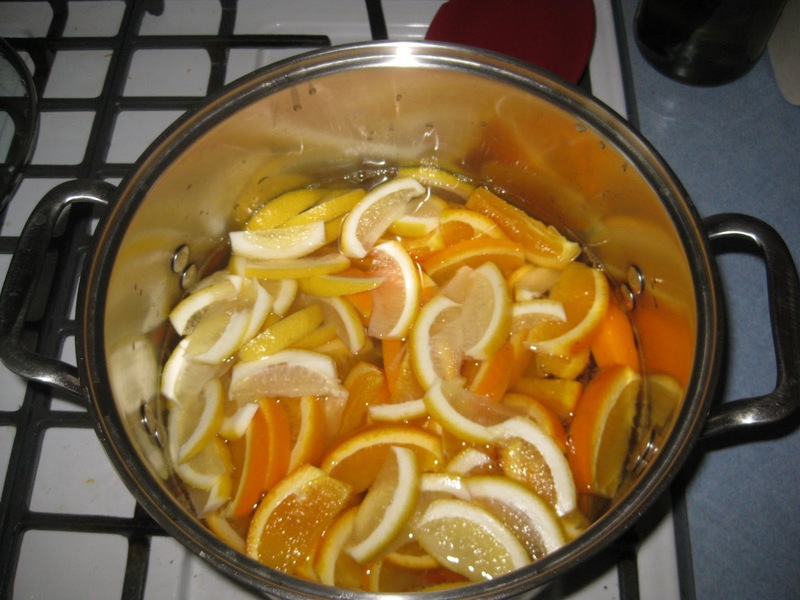 Place the sliced fruit and their juices into a stainless-steel pot. Add 8 cups water and bring the mixture to a boil, stirring often. Remove from the heat and stir in the sugar until it dissolves. Cover and allow to stand overnight at room temperature. 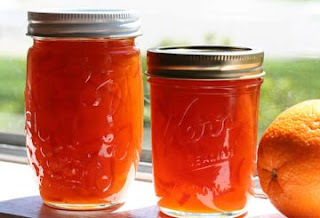 Pour the marmalade into clean, hot Mason jars, wipe the rims with a clean damp paper towel, and seal with the lids. My favorite is to smear this on my morning English muffin. But who says jams and marmalade's are only good for breakfast? I've recently made my version of Asian Orange Chicken. I marinated the chicken in the marmalade, a little soy sauce, garlic, ginger and a squirt of fresh lemon juice and Dijon mustard. It was delicious. Or spread on a spiral ham or ham steak. Another great use for your jars is to give them as handmade gifts. 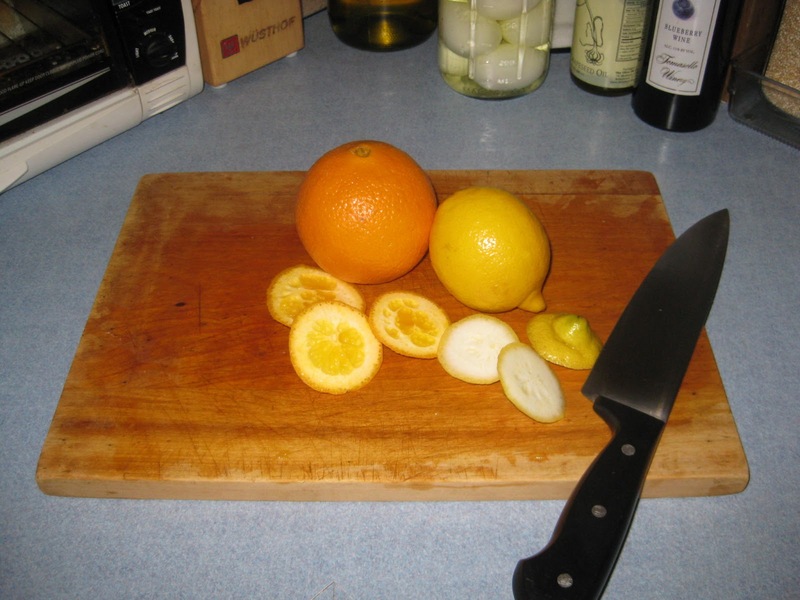 The rich, golden orange color and pieces of orange and lemon peel give a gorgeous presentation in any gift basket. 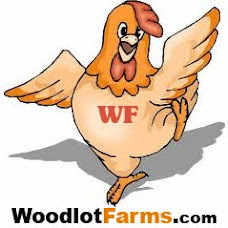 Especially a Good Morning Basket filled with Brioche Rolls or Croissants, Goat Cheese, Oranges, Fresh Berries, Flavored Butter and Local Honey. Use your imagination and have fun with it. Plus, as a bonus, you can store the marmalade in your pantry for up to a year so all that hard work of the 2 day preparation is definitely worth the time. What Will You Add Yours To?